Western struggles-and failures-to create functioning states in countries such as Iraq or Afghanistan have inspired questions about whether statebuilding projects are at all viable, or whether they make the lives of their intended beneficiaries better or worse. 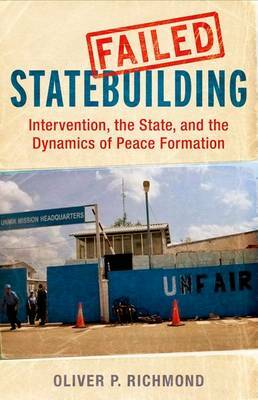 In this groundbreaking book, Oliver Richmond asks why statebuilding has been so hard to achieve, and argues that a large part of the problem has been Westerners' failure to understand or engage with what local peoples actually want and need. He interrogates the liberal peacebuilding industry, asking what it assumes, what it is getting wrong, and how it could be more effective.